It’s an experience most would call exhilarating — but is it bad for the sharks? In the case of Bear Grylls Adventure Park, a new tourist attraction that’s allowing guests to dive in tanks full of live sharks, the short answer is a very likely "yes." 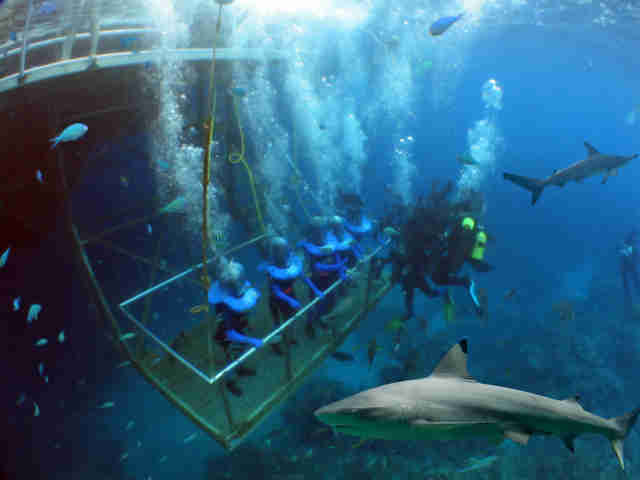 The “ocean survivalist” section will have a tank filled with live blacktip reef sharks, and offer regular diving excursions inside the tank. Animal advocates and conservationists say that the stress it will put on the animals could be dangerous. 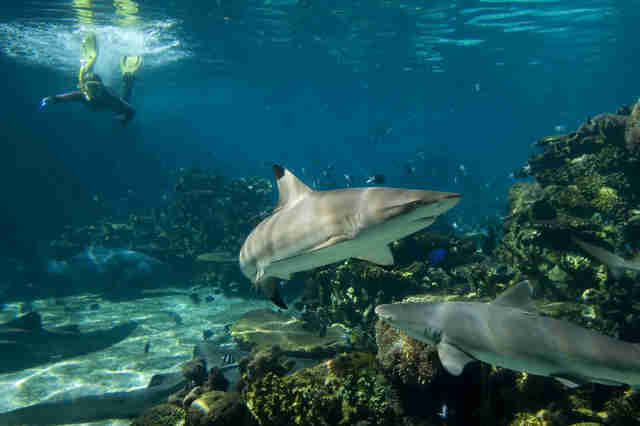 Even though blacktip reef sharks are a timid shark species typically used in aquariums, they are known to bite swimmers’ legs or ankles in the wild because they sometimes mistake humans for prey. Putting the sharks in closer proximity with people, with little room to avoid them, may further increase the chances of guests being bitten, Schubert explained. George Burgess, director emeritus of the Florida Program for Shark Research at the Florida Museum of Natural History, also expressed concerns about the limited space these captive sharks will be given — especially since other fish and humans will be within their living space, too. In previous episodes of the show, one contestant drew controversy after jumping on a crocodile’s back and stabbing him in the neck. In another instance, some contestants on the show mistakenly killed and ate an endangered species of crocodile. An online petition against the park surfaced three weeks ago, and it's garnered over 36,000 supporters. The Bear Grylls Adventure will test the skills, strength and nerve of the most intrepid thrill seeker. Do you have what it takes? 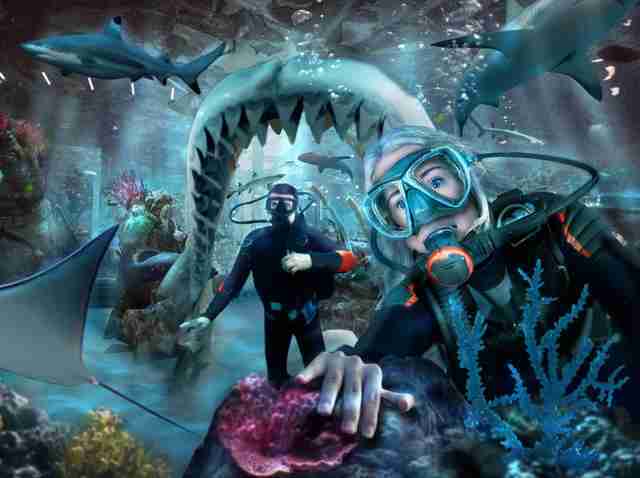 As with many attractions that hold sea life in captivity, the Bear Grylls Adventure Park operates under the pretense that it will contribute funds to shark conservation. While Schubert supports the effort to fundraise, he worries that the attraction itself will send out the wrong message about how wildlife should be treated. It’s designed to provide a thrill for people — not help sharks, he said. 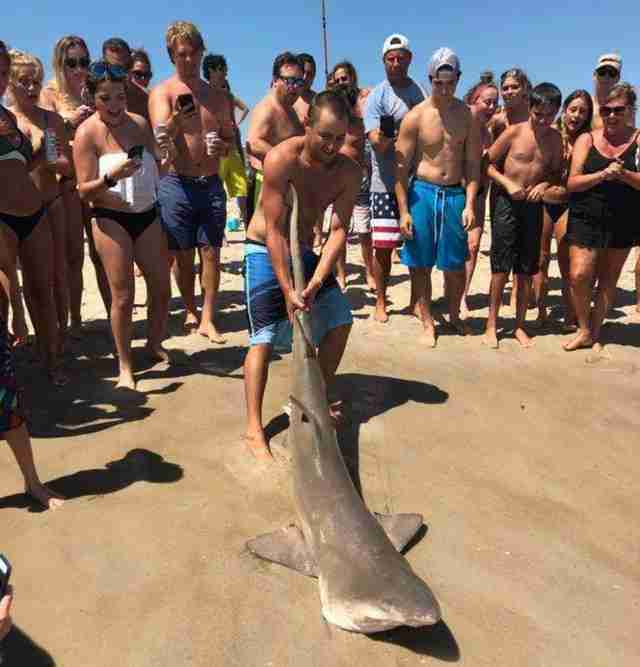 As seen in a recent viral photo of beachgoers pulling a live shark from the water to take photos on a New York beach, lessons about how to respect sharks are needed now more than ever. This could potentially be accomplished by creating an immersive, electronic shark exhibit that shows footage of sharks in the wild, similarly to National Geographic’s Ocean Odyssey attraction in New York City, Schubert said. To tell Bear Grylls to remove sharks from his adventure park's plan, you can sign this online petition. To help protect sharks in the wild, you can make a donation to Sea Shepherd.